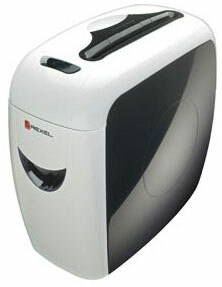 The sleek unique design of the Prostyle makes it the most stylish shredder available. Prostyle is a confetti cut shredder for high security and can handle up to 11 sheets in a single feed. After shredding up to an amazing 300 sheets simply slide out the bin for easy emptying. It also shreds credit cards. The Prostyle is the 'smart' addition to any professional home office.